What does the Branson Centre of Entrepreneurship, Caribbean do? The Branson Centre, CA is a hub for budding entrepreneurs, based in Kingston, Jamaica. It gives the region’s most promising business people access to knowledge, markets, networks and resources. The centre specifically recruits entrepreneurs who are passionate about people, planet and profit and who can act as socially-minded changemakers in their communities. The centre takes a personalised and family-like approach, so that recruits can form meaningful relationships and links to help each other’s businesses grow. The centre’s entrepreneurs are enrolled onto a training programme where they have access to online learning. Some are also given mentoring and expert advice too. By supporting small businesses, the centre helps to create jobs for the Caribbean’s next generation and drive the nation’s economy. The centre believes that entrepreneurs have a unique opportunity to make positive global changes while remaining profitable. They have the power to change lives and livelihoods in the communities and countries where they operate. We see them as the conduit for real change and development – a ripple effect that begins with the business and moves into the community at the grass roots level. The Branson Centre, CA is an initiative of Virgin Unite and lead partner Virgin Holidays. It opened its doors in 2011. Virgin Unite is a major funder for the Branson Centre, CA. We also support its training and mentoring programmes with our online platform, co-developed with Everwise. What has this partnership achieved so far? 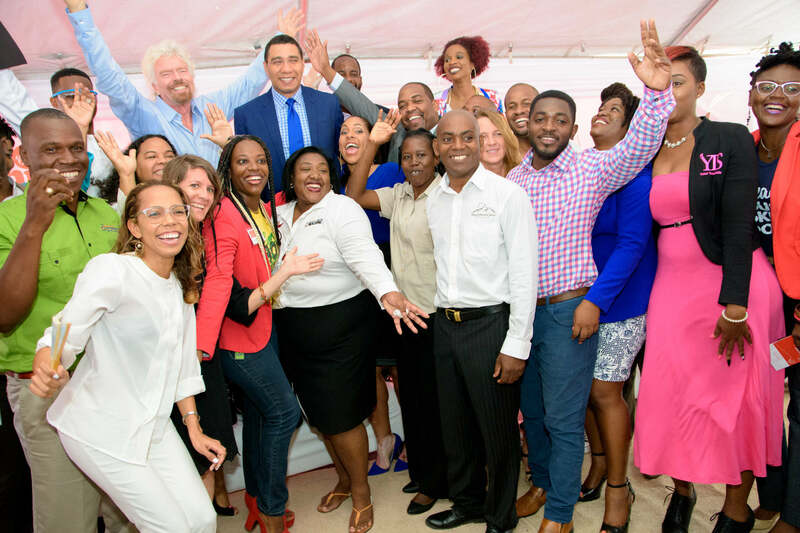 How does the Branson Centre Caribbean help entrepreneurs? Mentoring is currently open to graduates of the training programme. It uses the online platform to match each person with the best possible mentor, so that they can develop and grow their business. Through technology, the centre is able to provide critical training and make smart mentorship matches. If you’ve already found success, could you give some time to help mentor an early stage entrepreneur?